It’s springtime and the deployed primary mirror of NASA’s James Webb Space Telescope looks like a spring flower in full bloom. 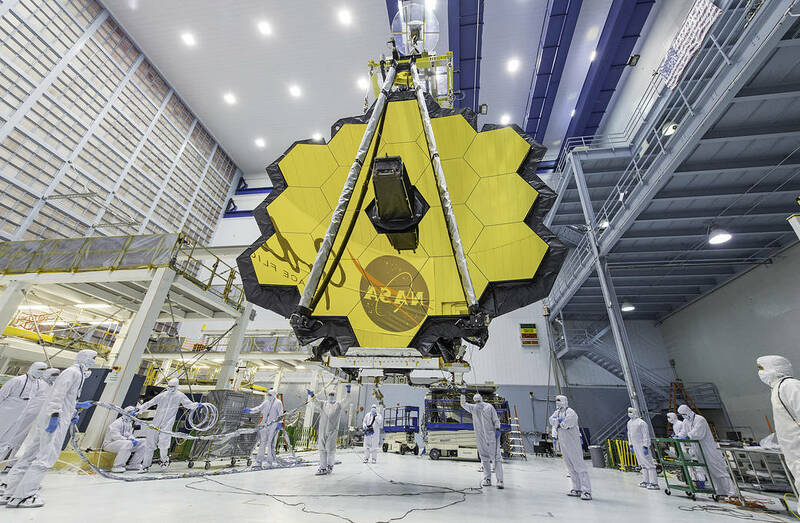 In this photo, NASA technicians lifted the telescope using a crane and moved it inside a clean room at NASA’s Goddard Space Flight Center in Greenbelt, Maryland. Once launched into space, the Webb telescope’s 18-segmented gold mirror is specially designed to capture infrared light from the first galaxies that formed in the early universe, and will help the telescope peer inside dust clouds where stars and planetary systems are forming today.